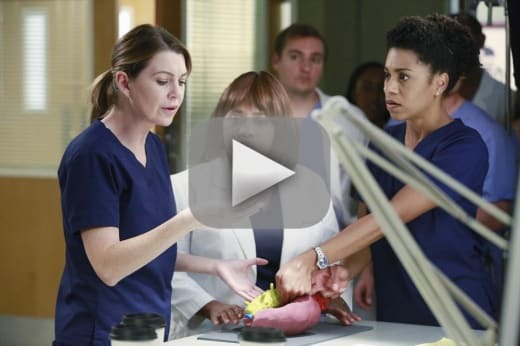 We hope you had some tissues handy while watching Grey's Anatomy Season 11 Episode 10. On the latest installment of this ABC hit, April and Jackson's baby underwent further testing while his parents tried to determine what to do next. Elsewhere, Dr. Herman instructed others in fetal surgery; while Owen and Callie showed support for one another when they pondered reentering the dating world. Should they do so together?!? Finally, a 3-D printer provided the doctors with insight into a patient's tumor. 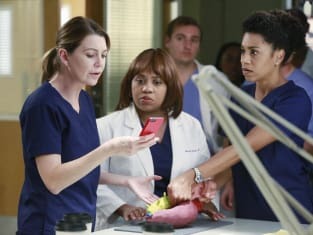 Follow the prompts of the video above to watch Grey's Anatomy online and see all that went down throughout the hour.